Developer Myles Breadner, in the box, talks to the council Wednesday. The Albany City Council doesn’t often get applause during its meetings, but it got some Wednesday from a group of North Albany homeowners who had just learned their prospective street assessments had been reduced from several thousand dollars each to — nothing. The council voted unanimously — with Rich Kellum absent — to form a local improvement district to rebuild the northern half of Crocker Lane to city standards for an estimated $1,275,000 and to use an assessment plan that has 68 homeowners paying zero. This was made possible by increased contributions from various city street funds, homebuilder Hayden Homes, subdivision developer Myles Breadner and Benton County (in return for the city taking over that portion of Crocker). Breadner’s firm, MBBH, which could have developed 113 lots north of the North Creek subdivision, will pay $400,000 alone. Hayden Homes, which built and sold homes in North Creek, will pay assessments on behalf of 58 homeowners, who were apparently unaware that the original developer had signed waivers obligating future owners to pay for improving Crocker. Breadner told the council he and Hayden Homes were happy to help resolve a problem for the homeowners. Mayor Sharon Konopa said she could not remember another time when a developer had gone to bat for customers in this way. The city engineering staff led by City Engineer Jeff Blaine and outgoing Public Works Director Mark Shepard had worked out the funding plan with the various parties, first reducing the overall cost by removing Valley View Drive from the project. Then, their plan has the city paying nearly $500,000 from North Albany street improvement charges, transportation systems development fees and street and storm drain connection funds. Breadner will donate the wooded chunk of his property at the corner of Valley View and Crocker to Benton County, which will use the acreage to expand North Albany County Park and also build a path through the stand of trees. 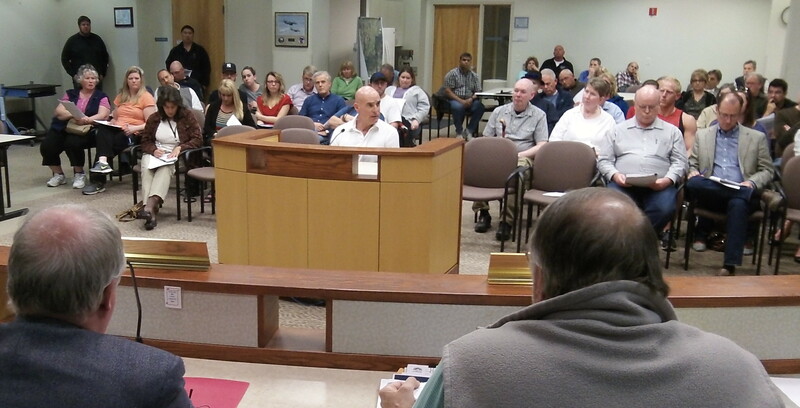 Jeff Powers, in charge of Benton County parks and natural areas, told the council the park and path development would take about three years. Improvement of the southern part of Crocker is not scheduled. But Blaine said the city staff during the next fiscal year will evaluate the need for a traffic signal at Crocker and Gibson Hill. No signal is warranted there now, he said, but it may become so as development in North Albany continues.